High School? What did you drive? What they drive now. Read the article, then say what you drove in h.s. still being in high school im proud to say im driving a black 92 integra ls. not the fastest thing on the planet but what do i want a super fast car at this age for, ill end up in the back of a bus or into a bridge, wall, another car.. etc. it's turned into a project of mine, should look much better once im out of high school but i don't have any complains. 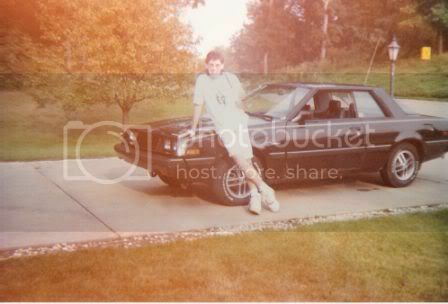 17 had a nice 1984 Fiero GT with a 5 spd and kept it until high s chool was over. Now I drive a 1999 acura integra GS-R and a 1994 Chevy Blazer s10 and am looking to buy an old mustang or chevelle to restore. ...I drove and still drive a 1985 Volvo 240 DL wagon. "Everyone is someone else's weirdo"
You may be right because I really don't remember. I love mine, at the track, on the street its always a blast... I even take it on road trips... I have a hitch and I pull a trailer... IM all set no matter where I go. Me too... dog sits on Feincees lap... but its a pug... so it fits fine.